In his book, Tattoos on the Heart, Fr. Greg Boyle S.J. reminds us that, “The strategy of Jesus is not centered in taking the right stand on issues, but rather in standing in the right place—with the outcast and those relegated to the margins.” If we take our Christian faith seriously, I believe that we must ask two questions. First, who are the marginalized in our society today? And second, where shall I go to encounter them? Jesus, the pure and ultimate embodiment of living solidarity, asked himself these questions, and as his disciples we must seek to do the same. If Pope Francis truly prefers a “bruised, hurting, and dirty missionary Church,” I know just the place he should visit when he comes to the United States next fall. In my opinion, one of the best things he could do would be to go visit Fr. Greg Boyle, S.J., founder and executive director of Homeboy Industries in Los Angeles, California. What started as a small nonprofit has become the largest gang intervention rehab and reentry program in the country. Through a continuum of free services and programs that operate as job training sites, Homeboy Industries allows former gang members to envision a new future for themselves. Since 1992, nearly 120,000 gang members have come knocking on Fr. Greg’s door asking for help with starting over in the face of the socioeconomic forces against them. This Jesuit priest has been taking bets on second chances in the lives of felons, not excusing their violence, but understanding where it comes from. Fr. Greg reminds us that no hopeful young person joins a gang; but that they gravitate towards gang life because of a lethal absence of hope in their life. Fr. Greg has certainly created the realization of the Kingdom of God in a place that some label as the epicenter of violence. He is an awe-inspiring example of living solidarity, and of living Catholicism. Pope Francis is undoubtedly aware that the story of a prisoner is often a story that goes untold. He has already washed the feet of youth detainees at Holy Thursday mass, and offered prisoners into his home. He knows the reality that these people face and how apt they are to be swept under the rug. I would imagine that if Pope Francis were to go visit Fr. Greg, and talk with people who were formerly involved with gangs, he would not only ask what can the Church do to better shape the lives of gang members? But rather, what can gang members do to better shape the life of the Church? 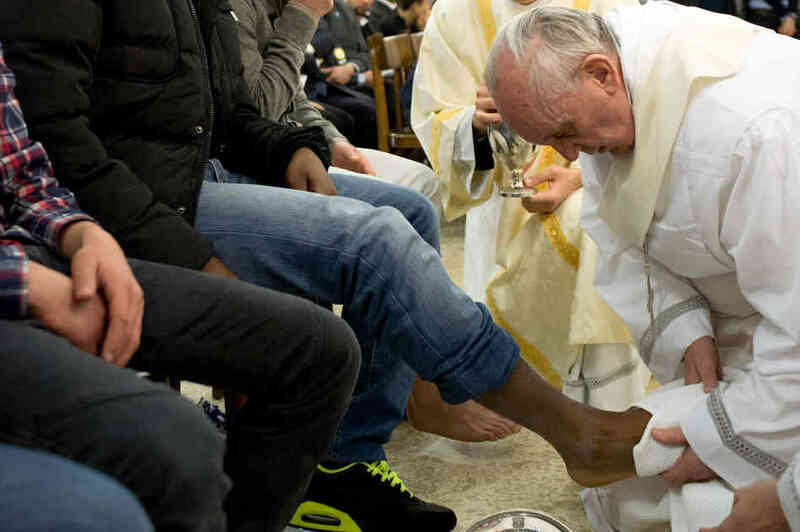 Pope Francis washing the feet of youth detainees on Holy Thursday. When we look lovingly upon those whom society has outcasted, it reflects back upon us like a mirror and teaches us something about ourselves. When we look at gangs in the United States, we don’t just have to face violence, but we have to face the intersecting issues of race, immigration, gender, education, and poverty. When we look at gangs we are reminded that we have created a culture of fear in the United States. Although we assume the appearance of togetherness and unity, the root of our fear is actually a place where boundaries are broken and vulnerability is the only option. When we look at gangs in the United States, we don’t just see felons, we see humans, and hence we see ourselves. Perhaps gangs can lead us to a deeper understanding of who we are, and the place of our Church in a broken world. This quote highlights that living solidarity is living Catholicism; the two are not separate and distinct. In fact, they are so intrinsically tethered there is no one without the other. Pope Francis has the ability to show Catholics in the United States, and around the world, what it means to truly embody this claim. And so my hope is that Pope Francis will go to inner city L.A. and say thank you to Fr. Greg Boyle for living solidarity and living Catholicism in a place where so many have felt the absence of God. In doing so, Pope Francis will continue to force Catholics to recognize that living solidarity is not just a tangential aspect of some core Christian tenets, but is living Catholicism itself. I hope that Pope Francis sits down at Homeboy Bakery and breaks bread with gang members. The world will be watching as their community of kinship transforms him. 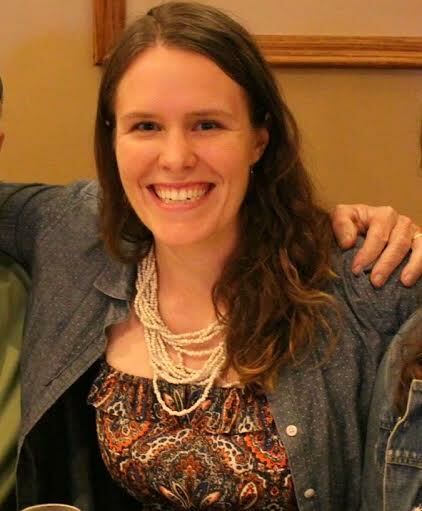 Meg Stapleton Smith is a master’s candidate in Ethics at Yale Divinity School. After graduating from Boston College in 2013, she was Director of Campus Ministry and a Theology teacher at Notre Dame Cristo Rey High School in Lawrence, MA. Her current research interests lie mainly in Salvadoran liberation theology and contemporary Christian social ethics. Thank you Meg for introducing me to Fr. Greg and the Homeboy Industries. Thought proving; truly an industry that transforms hearts and boundaries. In closing I would add, as Pope Francis sits down to break bread, the world will be watching as the the community of kinship transforms him….in the spirit of mutuality, the community of kinship are transformed as well.